Felt Hinged Quick-Snap Cap snap-on glides onto existing furniture glides. 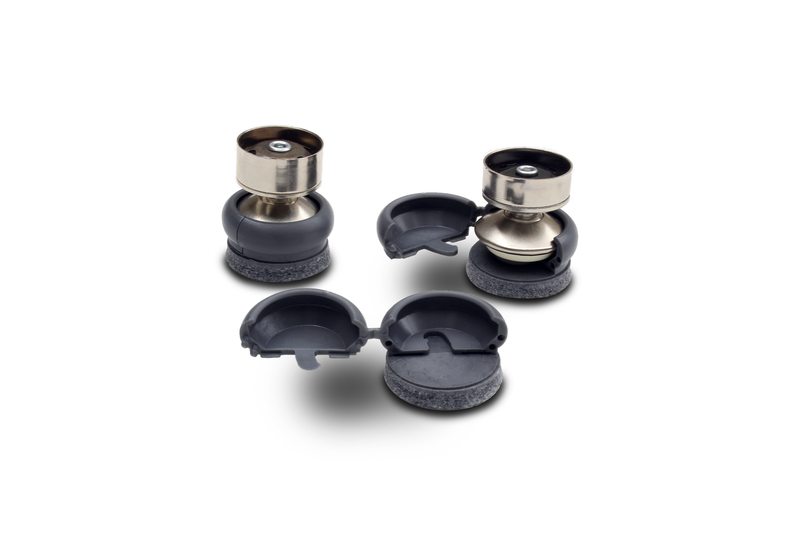 These replacement caps are easy to install using our Easy Quick-Snap Cap Installation Tool and will protect your floors and reduce annoying noise due to glides scraping across the floor. These caps are made to fit all standard school swivel glides. For use on carpeting, we recommend smooth bottom caps- click HERE.